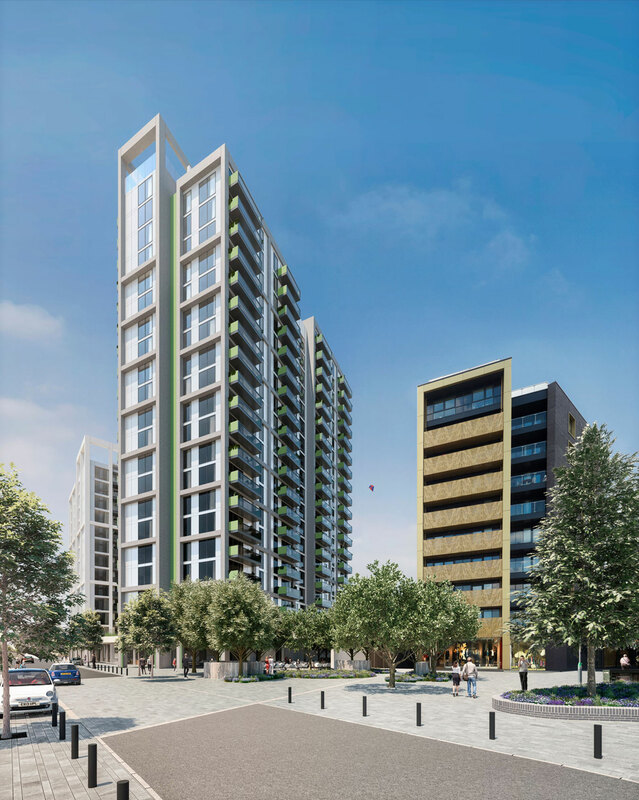 shedkm’s Abbey Place scheme aims to establish a set-piece of new high quality buildings for Abbey Wood. Comprised of new residential apartments, flexible commercial space and new private and public amenity space, the design seek to create a benchmark for the ongoing rejuvenation of an historic residential community. 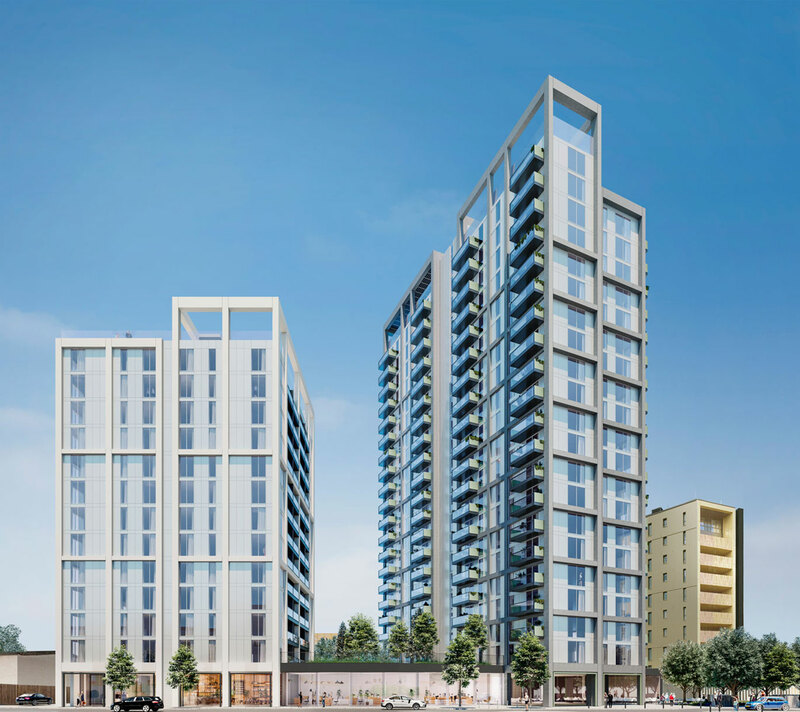 A duo of new 13 storey and 21 storey residential buildings aim to create a new sense of place at the heart of Abbey Wood. Using a palette of bold, robust and economic materials, the character of the proposed scheme reinforcing the notion of a cluster of new buildings.